Hand impulse sealers are great for simple sealing of plastic, especially when roll bags or plastic tubing is used. Quick and eay to use, these sealers need no warm up time! Simply place poly bags or any other thermoplastic material between the seal arm, press, and release. You'll get a seal that is both air and water tight! 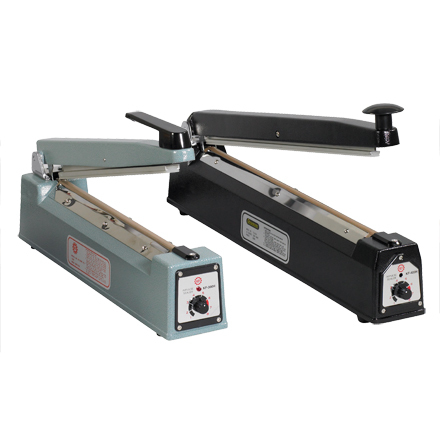 Check out our line of double impulse and direct heat sealers for sealing gusseted bags.